When you go house hunting, it's easy to spot features that you know you'll like in a future home. On the other hand, there are also some features of a home or neighborhood that while not ideal, seem "acceptable" during the house hunt. You might not want to compromise, however: These 14 things can be being downright intolerable after you move in. If your new house is across from a T-intersection, you will get headlights shining in your windows at all hours of the night. Since most people check out houses during the day, this annoying "feature" is easy to miss. I always feel sorry watching people waiting to cross the street to get to their mailbox from their driveway. This seemingly minor nuisance becomes increasingly irritating when you have to do it every day. Having the mailbox on the same side of the street as your house is much handier. 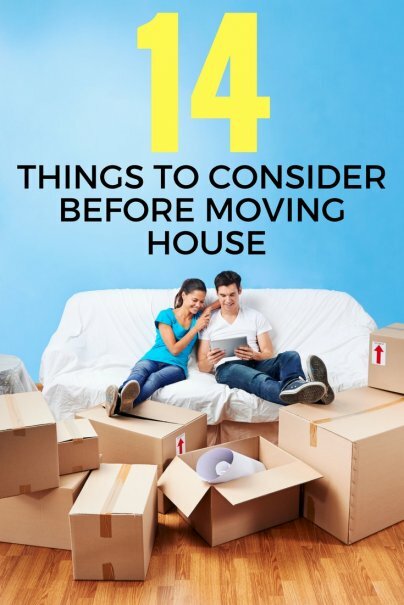 Before you move, you might think a little extra driving will be worth it for the right house. Within a few weeks, however, those few extra minutes behind the wheel each day add up to hours of extra driving and wear and tear on your vehicle. When you are looking for your next house, you might see an empty lot across the street as a nice feature — quiet green space with no extra neighbors. After you move, you may find that the neighborhood kids all hang out in the empty lot. You should also worry about what might get built there right across from you when someone buys it. Home improvement projects may sound fun when you are looking at houses, but renovations can become burdensome, taking up most of your free time and money. It is easy to underestimate the scope of improvements when you are deciding to buy a house. Even if the traffic in your neighborhood is not bad, busy roads nearby can make it a nightmare to get home from work or to run to the store to pick up a few things at dinner time. You can find a bargain house and fix it up, but there's not much you can do about the neighborhood. A neighborhood in decline can limit resale potential and make living there less enjoyable. If your next house has a gravel driveway — or even worse, is on a gravel road — your car will always be dirty, and the kicked up debris can cause chips in the paint. Even the grass in your yard will be dusty, and you will stir up a cloud of dust when you mow. You may be too busy to notice which way the windows face when looking at houses, but you will notice when winter comes around. The sun stays low in the sky during winter months and will shine in south-facing windows all day long, providing passive solar heating and welcome wintertime light. You will probably go house hunting during the working day when almost no one is home, so seeing lots of other houses nearby may not bother you. But after you move in, you realize that everyone is around during evenings and on weekends. You may not feel comfortable going out on your deck or doing something in your yard when multitudes of neighbors are out and about only a few feet away. If you live under a streetlight, you won't have much of a view of the stars. The streetlight might also shine right in your windows at night, forcing you to keep the curtains drawn and reducing the fresh air coming in your windows. If you move to a neighborhood where there is a lot of new construction going up, you will have noise and heavy truck traffic around you as new houses are built. Construction in a new neighborhood can go on for years. If you don't have kids, you may not be concerned about the quality of the school district as you look for a house. But you may have kids someday, or you may have trouble selling your house when the time comes since a quality school district is a priority for many homebuyers. When you are looking at big numbers for house prices, the much smaller number you see for property taxes can seem like a minor detail that doesn't matter much. But if you pick a place with high property taxes, you'll be paying more every month. This can add up to thousands of dollars every year.